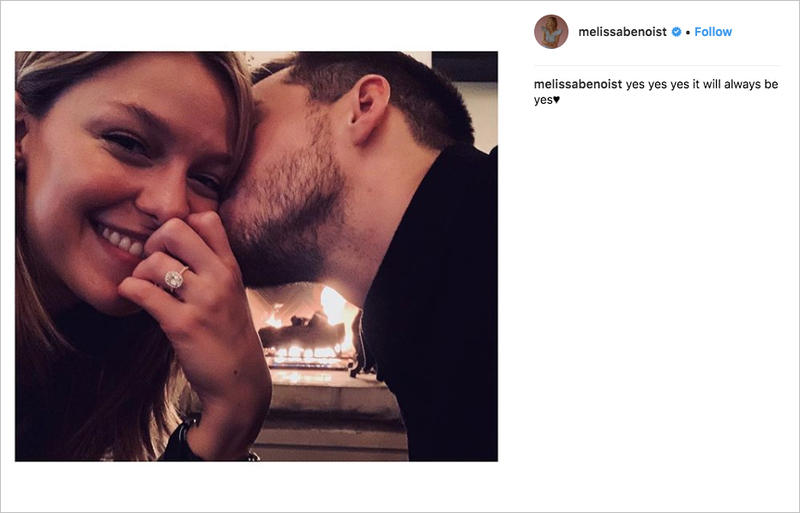 Home > Celebrity Style > 'Supergirl' Star Melissa Benoist Is Engaged to Costar Chris Wood! 'Supergirl' Star Melissa Benoist Is Engaged to Costar Chris Wood! See her on-trend engagement ring! 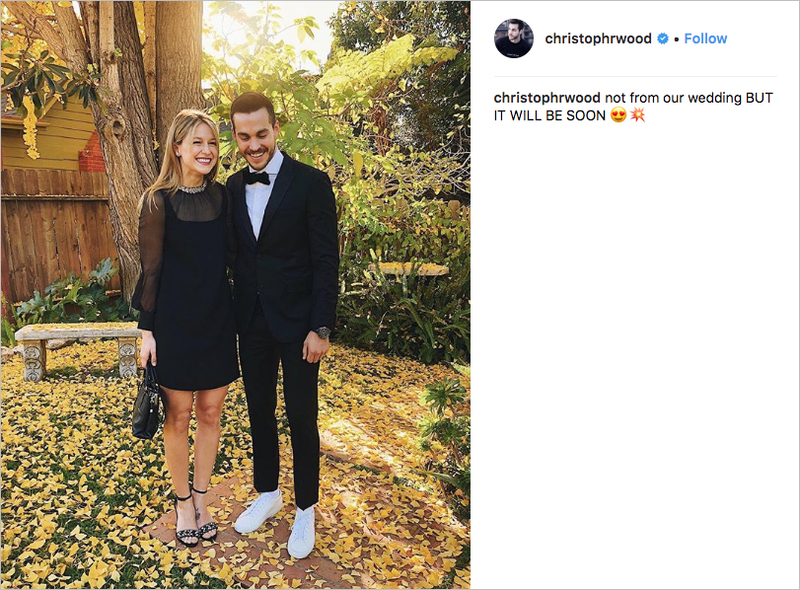 Supergirl costars Melissa Benoist and Chris Wood celebrated Valentine’s Day a little early this year – the couple is engaged! Their characters, Kara Danvers (also known as the titular Supergirl) and Mon-EL, may be star-crossed onscreen, but everything seems to also be going smoothly when the cameras are no longer rolling. Last night Melissa posted a sweet photo of the pair in front of a fireplace. Chris may have his face mostly obscured as he kisses the side of his fiancée’s face, but the joy is clear from the bride-to-be’s smile. Also on full display is the stunning engagement ring. Though the lighting of the image makes it difficult to determine the metal, it is otherwise a great shot of the rounded oval set with a delicate halo on a thin pavé band. As for the upcoming wedding, it looks like it will occur sooner rather than later. Shortly after sharing the post-proposal photo to his own Instagram account, the groom posted a shot of him and his beloved going to an event. Melissa is wearing a little black dress with sheer long sleeves and a jeweled neckline, while Chris dons a classic tuxedo paired with white sneakers. With the caption reading, “not from our wedding, BUT IT WILL BE SOON” followed by emojis, it seems reasonable to presume that the couple plans to have a short engagement. We can’t wait to see what the big day looks like! Watch fellow CW star Gina Rodriguez discuss her upcoming wedding and learn about The Orville costars Adrianne Palicki and Scott Grimes engagement.